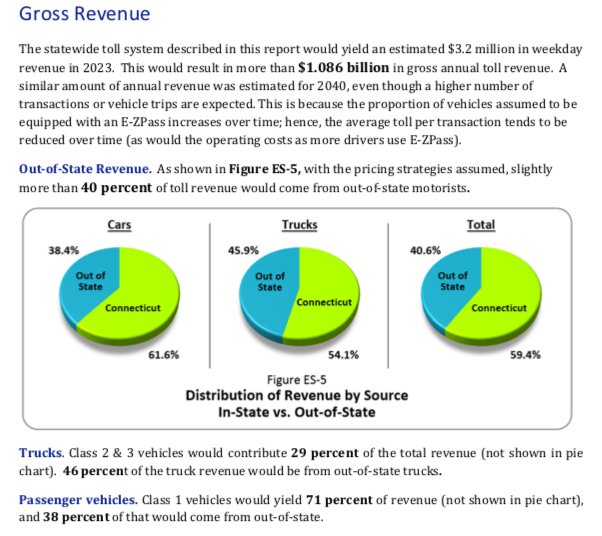 But under the latest tolling study, if Connecticut implemented tolls on both cars and trucks the state would take in $1.086 billion in revenue, and the state would net $950 million after accounting for operating and maintenance costs. According to the study, 60 percent of the total toll revenue would come from in-state drivers, or $651 million, with the remaining 40 percent coming from out-of-state drivers. So even if Connecticut eliminated the gasoline tax completely, residents would still pay approximately $145 million more per year. Connecticut drivers pay 43.8 cents per gallon in gasoline taxes — the 7th highest rate in the country — according to the Tax Foundation and the American Petroleum Institute. 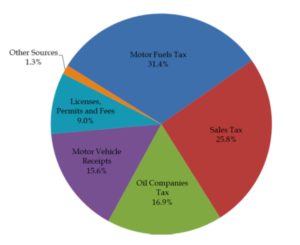 That figure includes Connecticut’s 25 cent per gallon tax, plus an additional 18.8 cents in additional taxes such as the petroleum gross receipts tax. Democrat Leaders, however, have only mentioned reducing the gasoline tax, not eliminating it. During the 2018 session, the idea of reducing the gas tax by 2 cents per gallon was floated in an effort to gain public support for tolling. 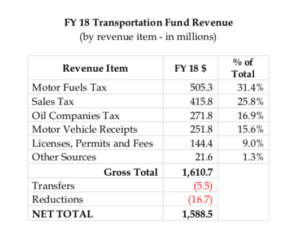 A 2 cent reduction in the gasoline tax would mark an 8 percent reduction in overall gasoline tax revenue to the state – possibly saving residents $40.4 million per year in gas taxes while adding the $651 million in toll revenue. Malloy recommended increasing the gasoline tax by 7 cents per gallon along with implementing tolls. Under past tolling proposals, however, raising toll rates would likely be much easier than increasing the gasoline tax. Connecticut’s gasoline tax is set in statute, requiring a vote to increase the rate and therefore making it politically difficult in a state where residents react quickly to the thought of higher taxes, particularly at the pump. But some of the 2018 tolling proposals called for establishing a state Transportation Authority, a quasi-public entity made up of appointed officials which would be in charge of setting toll rates, collecting revenue, and issuing bonds based on toll revenue. The Transportation Authority would not be encumbered with the political pressure state lawmakers face, although, according to those bills, it would be required to hold public hearings. Lamont’s Transportation Advisory Committee also recommended creation of a state Transportation Authority. To date, Lamont has continued to say he only supports tolls on large trucks, a proposal which would generate about $314 million total, according to the tolling study by CDM Smith. After operating expenses, the state would likely take in $200 million per year from those trucks. The cost to construct the tolling gantries would run $372 million. But Democratic Party leadership appears to be pushing tolls for both cars and trucks. Toll proponents in the legislature say the state’s gasoline tax is not generating enough revenue to meet future transportation needs as cars become more fuel efficient, and the state needs a new, more sustainable revenue source. Connecticut also imposes a gross receipts tax on petroleum companies, which generated $271 million in 2018, although most indications are the gross receipts tax would not be touched. vehicle receipts. Federal funds are also obtained for road repairs and construction. Debt service payments and the Connecticut Department of Transportation make up more than $1.2 billion per year of Connecticut’s transportation funding. As of now, the STF remains solvent, with a surplus of $175 million, according to the OFA. Even if tolls are approved by the legislature it would likely be five years before Connecticut could gain federal approval and construct the gantries. Malloy moved forward in seeking federal approval in 2018 by issuing an executive order forcing a $10 million environmental impact study, which is required by the Federal Highway Administration in order toll interstate highways. Eliminating or reducing the gas tax to get tolls is a beyond stupid idea. Why? Because it will end up costing tax payers more money? Why? Because the gas tax is the method of collecting revenue with the lowest cost associated with the collection. The system is already in place to collect the gas tax, so no additional costs will be added. You also get real world numbers as to the cost of collection. With a toll a much larger percentage of the revenue collected goes to the collection process which would include profits for a private company. Why not stop having the state pay for every transit agency entirely? If localities want bus and train services, they should pitch in their share. That is fair and it would allow residents in certain areas of the state with no transit to stop subsidizing other regions’ transit agencies. The state DOT should oversee transit program to help maintain consistency and coordination between counties/cities but the state should not be footing the bill entirely. And while MPG in cars has improved, given that most manufacturers are phasing out sedan production, it’s not as if SUVs are suddenly achieving 40 MPG. Bottom line, if money is needed right away, the simplest way to achieve that is raise the state fuel tax and vehicle registration fees. Sounds painful but it eliminates the risk of tolls never coming to fruition, keeps big trucks on the highways and off local roads, and doesn’t require $314 million investment in tolling technologies. Keep making it harder to live here and more TAXPAYERS will move out while the people moving in will be the ones looking for a handout. Voodoo economics of past Governor Dannel Magoo, an idiot bully. Gasoline Retailers Association – First the hidden gas tax called the Gross Receipts Tax needs to go – the reason simple that tax was put in place to replace leaking underground storage tanks and that program was a huge success and terminated by Gov. Malloy – NO PROGRAM NO TAX because then it is a hidden tax with no purpose other than spend,spend, spend! CT Conusmers, business owners and Service Station small business owners have been overtaxed for over 25+ years. It is time to STOP this THEFT! That GRT Tax is 8.1% of the wholesale price of gasoline and goes up and down with the price of gasoline and gain, where does the revenue go. No one knows. Then we can take a look at the current $.25 per gallon and I would suggest a phase down to around $.15 per gallon. Use the funds to pay off the construction of the tolls and once paid in full – phase in a $.10 reduction down to $.15. If your charging for miles driven why do we need a gas tax at all??? Over $1.5 billion dollars in hard earned profits of gasoline retailers, the small business heartbeat of CT. has been robbed and used for other than repairing our roads and bridges. While retailers and consumer will never be made whole, we will accept stop the theft and fix our roads and tax us fairly. It is that simple. Would it be nice even when and Yes I said when gasoline retail prices start to climb, the end retail price will stay low because of reductions in both these unfair taxes!!! Am I living in a fantasy world or could this really happen because its long over due. glad it’s going to take 5 years to implement tolls… by that time I will be retired and out of Connecticut.